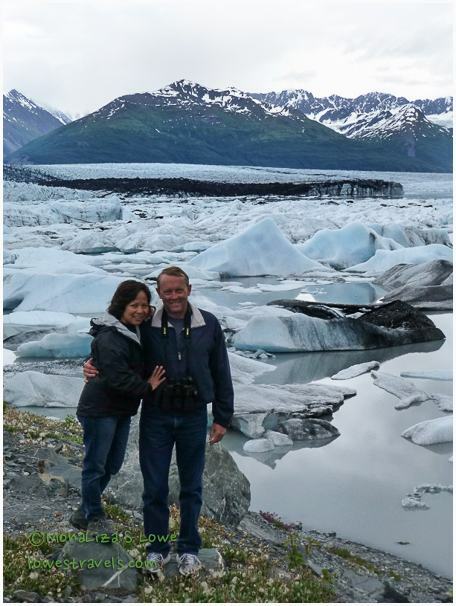 From Portage we drove to the east on the scenic Glenn Highway and spent a few days in Palmer located 42 miles northeast of Anchorage. This town is considered as the garden hub of Alaska due to its microclimate which produces amazing giant vegetables but we missed seeing most of them since it is too late in the season. 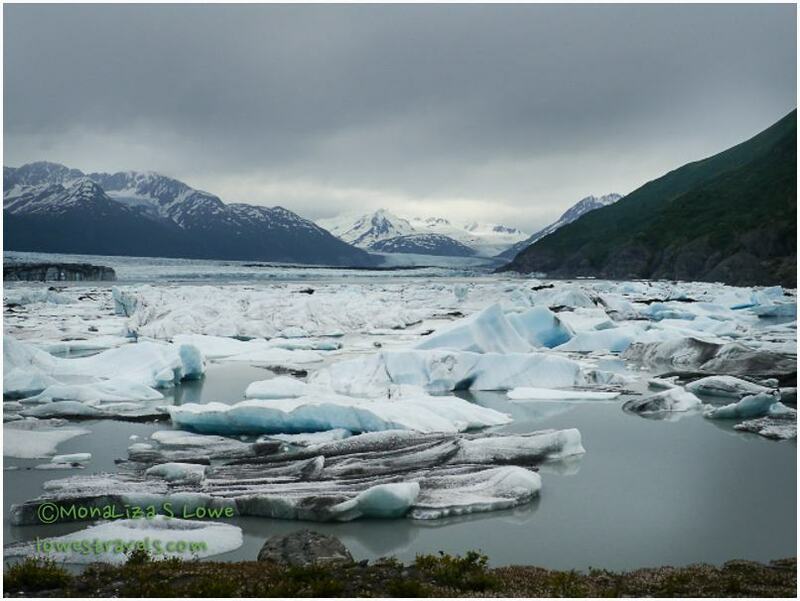 During our stay at the Mountain View RV Park we found out about the Knik Glacier tour via a brochure, which advised that we would be whisked away via 4-wheel-drive van, airboat and jetboat to the glacier. 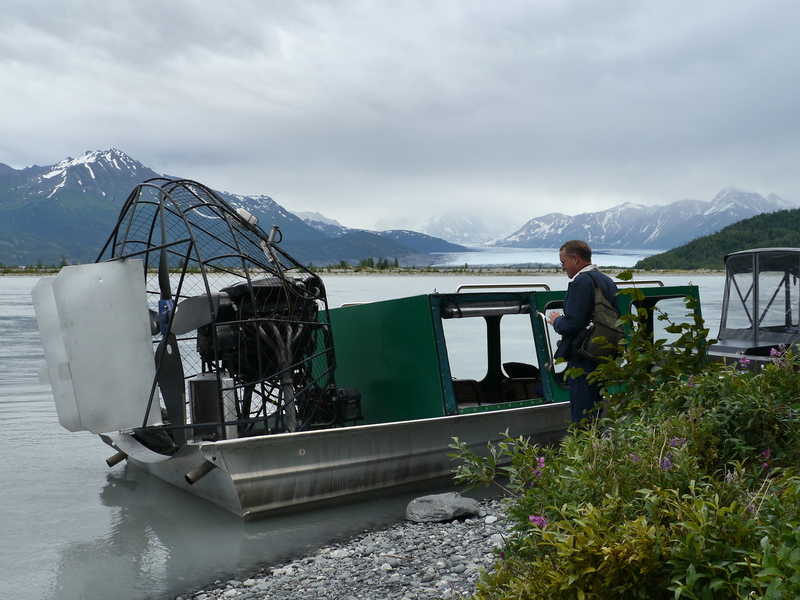 Airboat was the magic word for Steve, who wants to experience every form of transportation known to man before he dies. It was a fairly short trip (3 hours) and very affordable, so off we went. 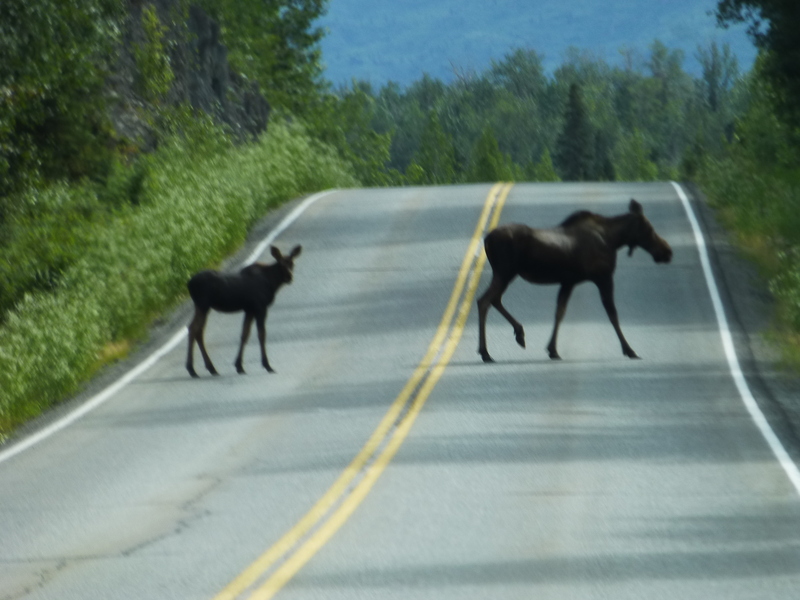 On our way there a mama Moose and calf crossed the highway. We didn’t have to pay extra for that! Mama moose showing baby moose the right way to get hit by a car. We met our guides Tom and Tom, who split up the group and took us in 2 vans over some very rough roads and across streams that were at least a couple of feet deep and quite wide. That part of the trip was exciting, but it was only to get us to the boats. Then half of the tourists got in the airboat (us included) and the other half in the jetboat. 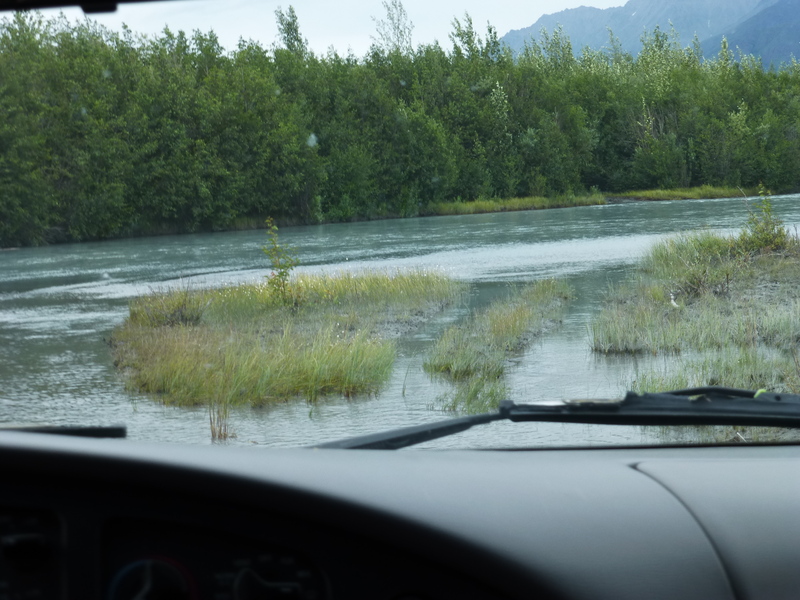 Off we went for a 20-minute ride to the Knik Glacier where Tom skirted several large chucks of ice as we got to the edge of the glacier and then we turned to dock at the camp. The drive was beautiful as the riverbed was adorned with pink and white wildflowers, and the sight of ice in front of us from the boats was amazing. Icebergs are actually clear, not blue. 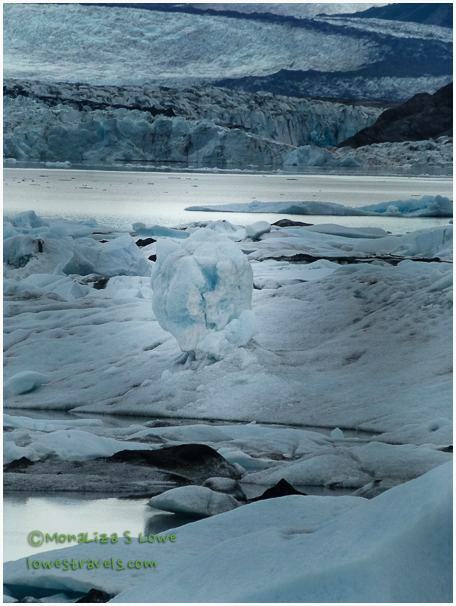 But in large chunks you will see blue in the parts of ice that have been compressed to the point that hardly any oxygen remains. This allows only the color blue from the light spectrum to reflect into our eyes. 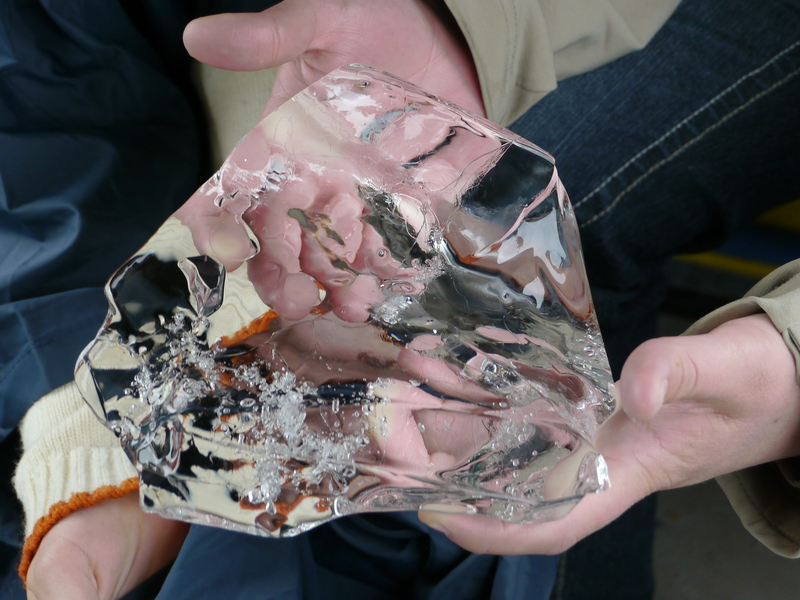 Once on shore, we were served hot drinks and snacks while relaxing across from the glacier. 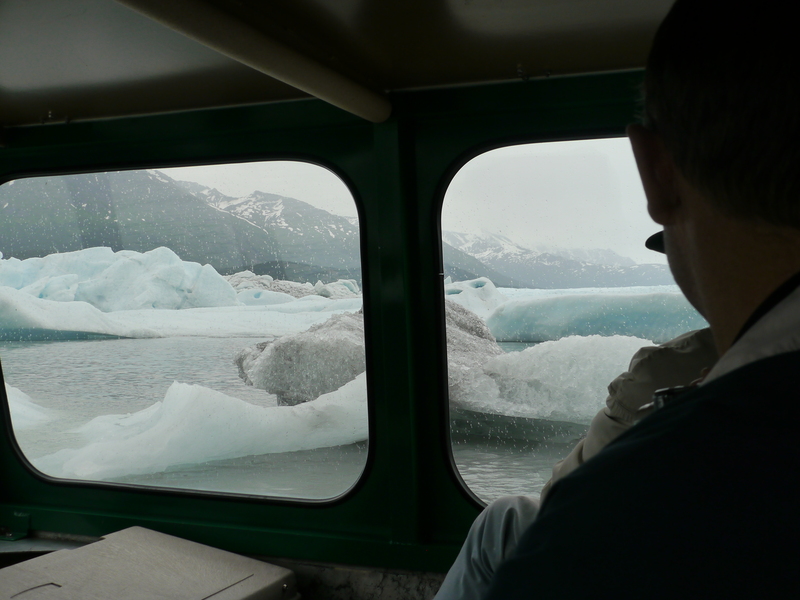 The icebergs were too numerous to allow us to get right up to the glacier, but since the boats were so small we were able to navigate closely around them to check them out on our. Pretty cool to be able to actually reach out and touch an iceberg! 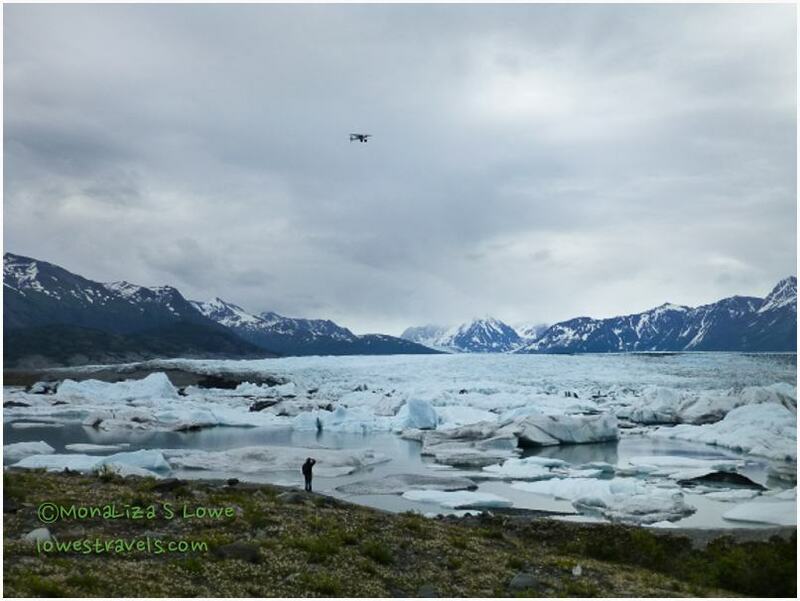 Knik is stunning, so vast and quite different from the other glaciers that we have seen on previous tours or hikes. The RV park we stayed at has mountain views and the sites were grass. While there, we had company one day, 20 motorhomes and fifth wheelers on an Alaskan Tour caravan.